Are you looking for some best camera app for your Android mobile phone? Then, this is the right place. In the past years, people don’t largely depend on smartphone cameras. But, the time has changed now. Now, most of the people are the Android user, and they mostly depend on their Android mobile phone camera to take their necessary photo. Android camera apps are thus so much essential in this sector. Many Android mobile phone company now build their mobile phones based on camera quality because people now prefer best camera android phone when buying a new smartphone. So, to satisfied today’s demand smartphone companies build a more powerful camera that can capture stunning images than before. You can use these type of camera at night, low light and even for scanning your necessary document. But you can’t always satisfied with your default camera. So, some people use third party android camera app to fulfil their demand. We in this post suggest you some best camera app for your Android Phone. Let’s go through the whole article and find out some excellent apps in 2018. One of the best camera app in 2018 is the Camera FV-5. You can take full control over ISO, light-metering, focus, white balance. You will get best picture quality and some impressive feature in this app. The camera is fast and takes a great picture. In this app, you will get DSLR-like manual controls in your fingertips. It also has Program and Speed-priority modes. This app has long exposure support and takes beautiful night photos and light trails with long exposure times up to 30 seconds. The user interface of this app is available in more than 30 languages. With 10 million downloads and 4.3 rating, this app seems one of the best camera apps for you. So many features you can use and easy to use with great pictures you can make. This camera app has a great user-friendly interface and many nice features. You can focus perfectly with a very simple interface here. Nowadays I don’t like apps on android to much. Cause most of them nothing more than useless and contain too much adds. But this app is something which makes your work half done without irritating you. Camera zoom FX has 5 million downloads so far with a rating of 4.0. Hope you can understand how useful this camera app is. You will get full manual DSLR controls using Camera. Beside this, it has faster, more powerful, material interface. You can perform RAW capture in supported devices. Has multiple flash mode with manual controls, ISO, shutter speed, focus distance in supported Android phones. I’ve been using Camera Zoom for years. It’s the best. Takes great pictures, has easy to use tools and works great on my phone and my tablets. 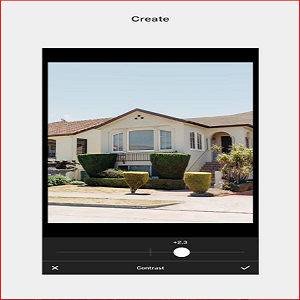 Manual Camera is world’s first Android camera app with full manual control. It has 100 thousand downloads with a 3.8-star rating in play store. One of the best camera app from here you can Lock each of the parameters separately, and then adjust them manually by rotating the Wheel. It has manual shutter speed, manual focus distance, manual ISO, manual white balance, manual exposure compensation and so many smart features. Everything is fine except the flash is not synced with the shutter. It flashes, but the photos taken are dark. This is the main drawback of this camera app. With 10 million downloads and 4.3 rating in play stores this camera app doing a great performance. Open Camera is a fully featured and completely free Camera app for Android phones and tablets. This app includes HD video recording feature. This is one of the best video camera apps for android. 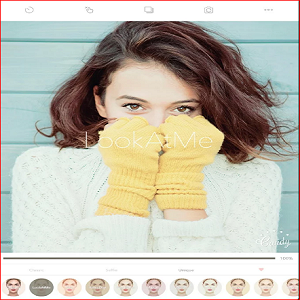 The main features that make this special app support for focus modes, scene modes, colour effects, white balance, ISO, exposure compensation/lock and face detection. It has the option to take a photo remotely by making a noise or by voice command. I love the crop guide feature in this app. I believe that this is only the camera app so far that I had encountered with that feature. It helps me a lot in videos. With 3.8 star ranking in the play store, this is an outstanding camera app in 2018. You will feel like using a DSLR camera using this application. It has Auto, Program, Manual, and two fully configurable Custom modes, just like a DSLR. You can shoot any image format you want. You can also shoot full resolution at 16:9, 4:3, and 1:1. You can zoom the screen during shooting with just one finger. Finally, we can say that, a Great app with beautiful looks and intuitive UI. Would be nice to have control of volume buttons and HDR. This perfect app has 1 million downloads with a play store rating of 4.1. This is an all-purpose, full featured camera for Android. It has ISO option and video recording feature. The good thing is that some top-ranked Android best camera app such as HDR Camera+, Night Camera+ and HD Panorama+ have been melted into A Better Camera to provide you with the best, all-purpose, full featured camera app. You can just download this app from google play store. This app has a record download more than 100 Million. Hope you can understand how great and good working this camera app is. It contains professional editing tools and all themed funny stickers & motion stickers. 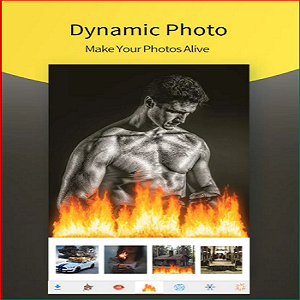 Your photo studio makes all your photos even better with selfie camera & photo editor. It is the best selfie camera app in 2018. You can blur, crop, resize images with this awesome app. I liked it much because I can play with the photos and I can choose whatever effects that may suit all the photos. The filter is gorgeous, and the image adjustments are easy to use to tweak your image. Has a great impression in play store with 10 Million downloads and 4.4 rating. It is effortless to use, and it works better on iOS version. SO, iPhone users can try this out. I like the new update; the app is much easier to use now. I wish filters would be added more often though. Front camera app for android now days are very popular. One of the best selfie and beautifying app. Day by day it gets so much popularity that it reaches 100 Million downloads. With Candy Camera’s beautifying filters and silent mode, you can take beautiful selfies anywhere and anytime. It has beauty function, lots of stickers and silent camera features. This is the best photo app ever does everything you could ever want. I got rid of my normal camera for this one. Has tonnes of filters. It has awesome stickers and great overall camera quality. You download this selfie camera app from online. You can download all these best camera apps free from google play store. Have a good day. Hope you all enjoy this article and get a clear concept of android camera apps. Keep visiting us to get more android apps review and tips.